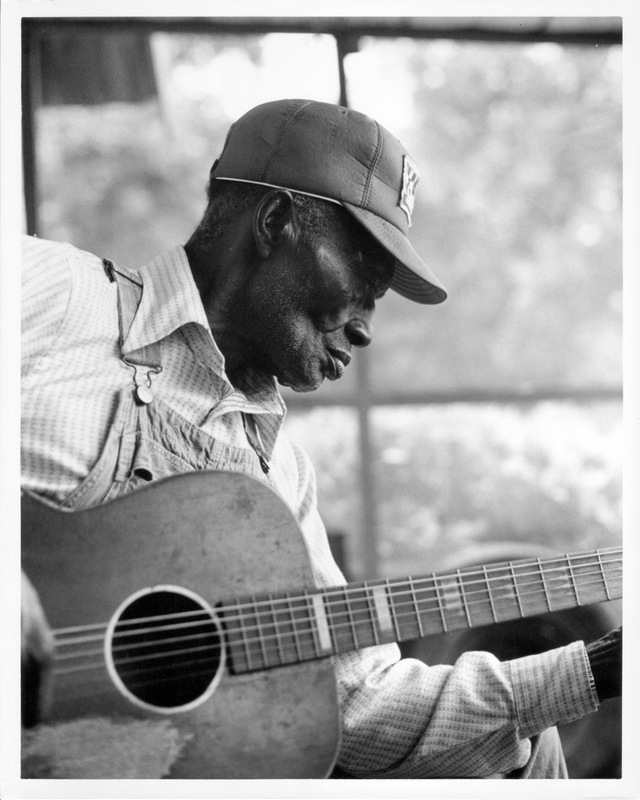 Hudson was one of the many musicians who played at the then-Fort Valley Normal School (an African American teachers college) “Ham & Egg” Festivals of the forties and early fifties. He was one who may have attended every annual show – his name crops up in what paper-work has survived at the school. No longer playing in 1973, Bastin and I were able to interview and photograph him at his home – he was certainly a very photogenic individual! ** LOWRY, Pete: “Fort Valley Blues” – Blues Unlimited No 111, p. 11 (1975) Sussex, UK. BASTIN, Bruce: Red River Blues: The Blues Tradition in the Southeast; University of Illinois Press (1986) Urbana & Chicago.